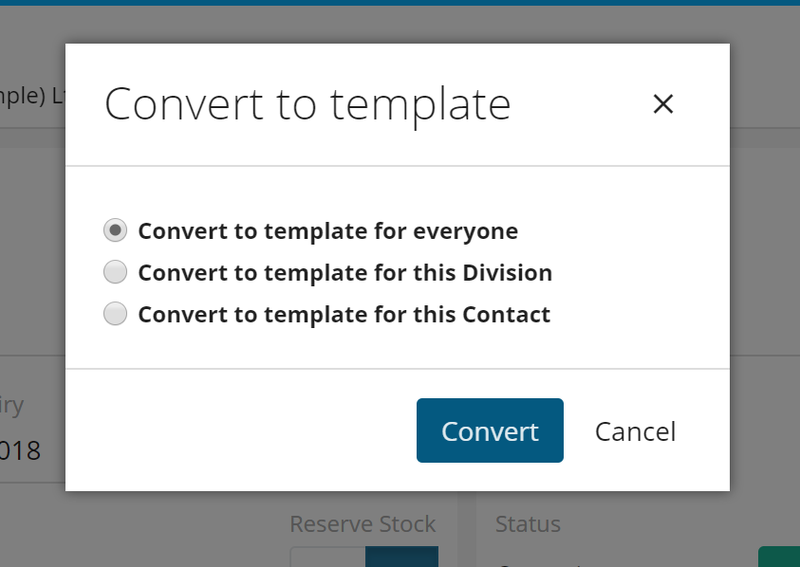 This article outlines how to use Template Quotes to create new Quotes within the CRM. Sometimes you can find yourself creating a Quote containing the same Quote lines for multiple Contact records within the CRM. 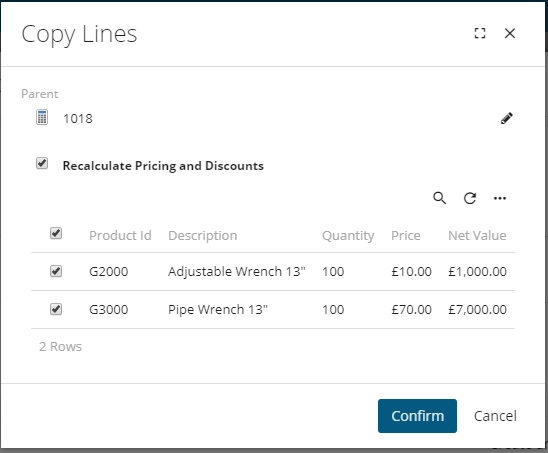 Instead of completing the entire Quote process from the beginning, you can use the 'Based On' functionality. Quotes can be created at any level of the CRM, by clicking the + icon on either a Division, Contact, Lead or a Problem record. After selecting the Quote option from the drop-down, the Quote Creation Window will open. Here you can add a description, change the operating company if required, choose the appropriate currency & finally choose a Quote to copy using the based on functionality. Once you're happy with your description you can choose to search for your Quote that you wish to copy. You will then be asked to choose a Parent Quote to use as the template quote; you can search for the desired Quote by click on the pencil icon. This will then open a search where you can search by either the Quote's description or Quote ID. For a quick search I would recommend searching by the Quote ID. Click select to choose the Quote you wish to copy. You will then be asked to choose the products you wish to copy from the Template Quote. Once happy with your selection you can click confirm & finally click create to build the Quote. Alternatively, if there is a Quote that you will use often you can convert this to a template. Once you are on a Quote, if you click on the three dots you have the option to convert a Quote to template. You will then be asked where you would like this Quote to appear as a template within the CRM. The template Quote will now appear at the level you set the template at in the Based On drop down.